Valiadis S.A. participated in the international tendering process held by Complexul Energetic Oltenia for the replacement of four special electric motors. Our company won the bid at the end of 2016 and the project was successfully completed last month, upon testing and delivery of the items. Complexul Energetic Oltenia (CEO) is a 40-year old provider of the Romanian National Power System safety. It's coal is able to provide electricity for Romania for the next 40 years and this is possible based only on the reserves discovered so far. CEO has 13,300 employees. 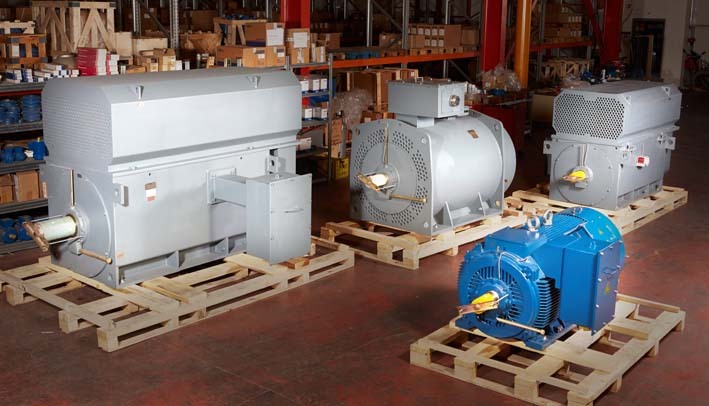 All motors delivered are medium-voltage and specially manufactured to meet project requirements and replace CEO's older motors.